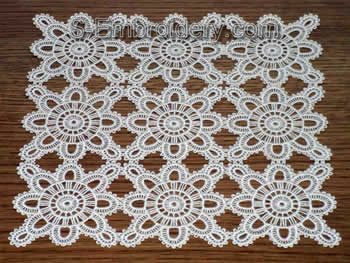 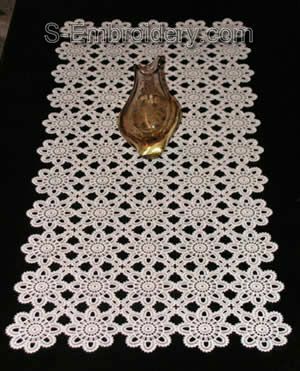 The freestanding lace table runner featured on this page was made using 27 pieces of the base motive, 24 border and 4 FSL Corner #2 designs. 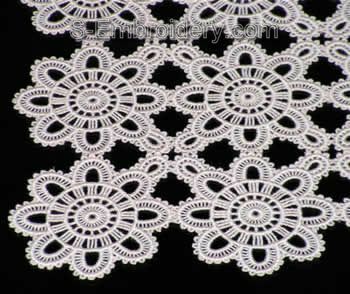 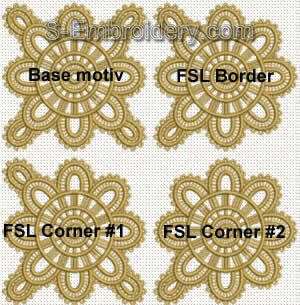 The FSL doily was made with 9 FSL base motiv. 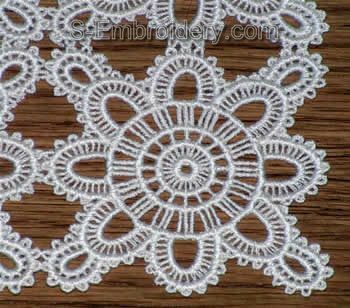 All designs will fit in a 4x4 hoop.